Final Interview part 4 – Parlaying yesterday’s achievements into a thriving tomorrow. BARE Shares – Is Your Company Losing Trust? BARE International shares an article from Better Business Bureau – Is Your Company Losing Trust? New Research Shows Consumer Expectations Are Up, Customer Service is Down, Millennials Rule, and Price Still Matter. https://www.bareinternational.com/wp-content/uploads/2017/10/AdobeStock_75473182.jpeg 2832 4512 onimod https://www.bareinternational.com/wp-content/uploads/2017/03/mystery-shopping.png onimod2017-10-23 16:42:102017-10-23 16:42:10BARE Shares - Is Your Company Losing Trust? Part 3: Shaping the industry to align with evolving client needs. 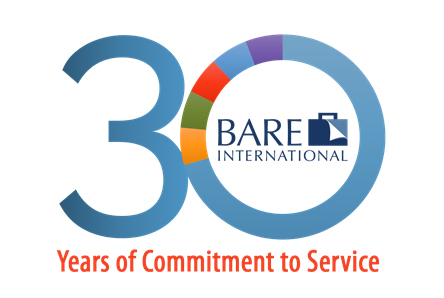 BARE International shares an article by Retail Touch Points – Retailers Struggle To Drive Profitable Post-Purchase Experiences: Research. https://www.bareinternational.com/wp-content/uploads/2017/09/2.jpg 298 444 onimod https://www.bareinternational.com/wp-content/uploads/2017/03/mystery-shopping.png onimod2017-10-12 17:00:382017-10-19 14:11:47Founders of BARE International reveal hurdles and triumphs on their road to success. On Customer Experience Day – We Thank YOU! https://www.bareinternational.com/wp-content/uploads/2017/10/AdobeStock_99326850.jpeg 4733 10042 onimod https://www.bareinternational.com/wp-content/uploads/2017/03/mystery-shopping.png onimod2017-10-03 16:15:382017-10-03 16:16:07On Customer Experience Day - We Thank YOU!